We’ve said it before, that one of the great things about living in our part of the world is the bird population. Our favorite bike route is the La Crosse River State Trail, and the first few miles from the Medary trailhead would be a birder’s paradise. 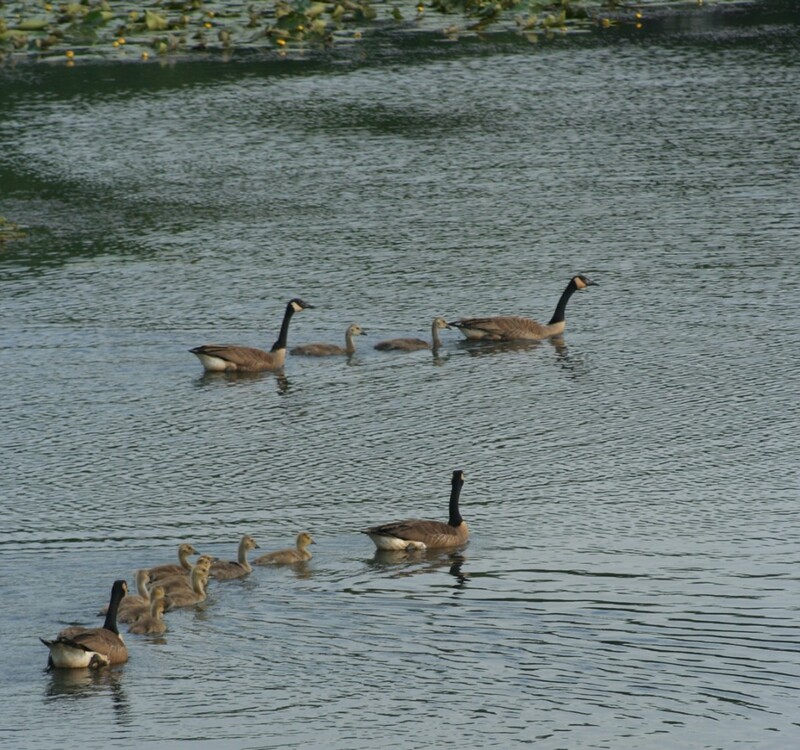 Canada geese are overabundant around here, but at this time of year you can see them out with their babies. Two families of Canada geese on the La Crosse River Marsh, as seen from the nearby bike trail. We’ve been noticing sandhill cranes for the past two years now, and we see them on at least half our rides. 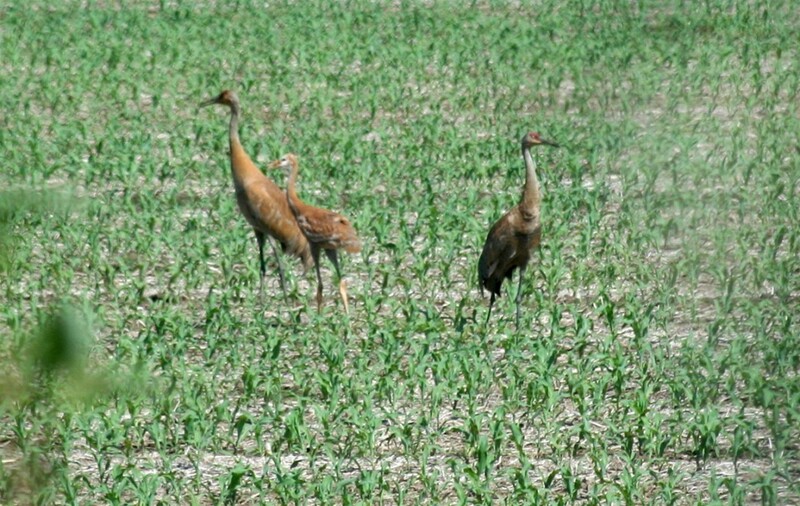 A family of sandhill cranes forages for food in a young cornfield near the La Crosse River Bike Trail. This pair of birds was chattering to us while we were taking a break as we approached West Salem. We’re not sure what they are, so if you can help identify them we’d appreciate it. A pair of small birds pose for photographers along the La Crosse River Trail near West Salem. We see a lot of great egrets and great blue herons, but the herons haven’t posed for us yet. The birds are related and look very much alike. The link below opens a three-second video. It’s a 6-frame burst of a great egret landing on its perch overlooking the La Crosse River Marsh as seen from the bike trail. The video will load in a new window or tab. If you have trouble viewing it, make sure you have QuickTime extensions installed. This entry was posted in Bicycling, Cool stuff, Outdoors and Wildlife. Bookmark the permalink. 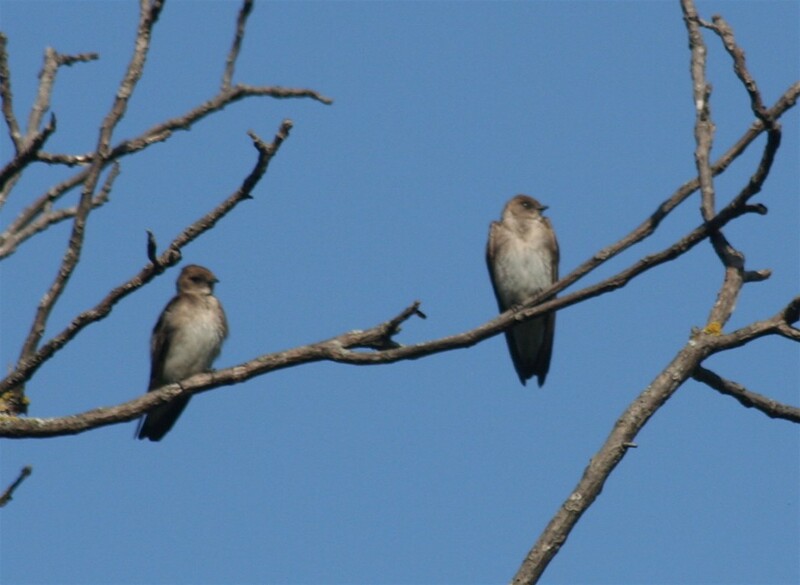 The little birds look like young and/or female purple martins! 🙂 Love the photos. We love the marsh trails and seeing all the nature too. It just about makes the winters worth it.